A fresh wipe also called WET WIPE is a moistened piece of fibre/ cloth / paper that is mostly used for cleaning the messy faces babies make while being fed. 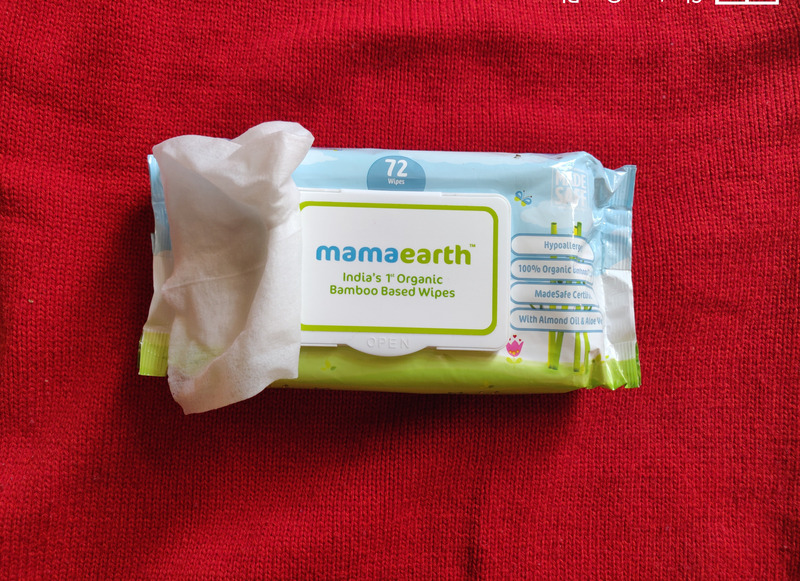 Mamaearth's wipes are made from 100% organic bamboo cloth which is earth friendly and biodegradable. Its high time we shift to organic products that do not cause anymore damage to our mother earth. 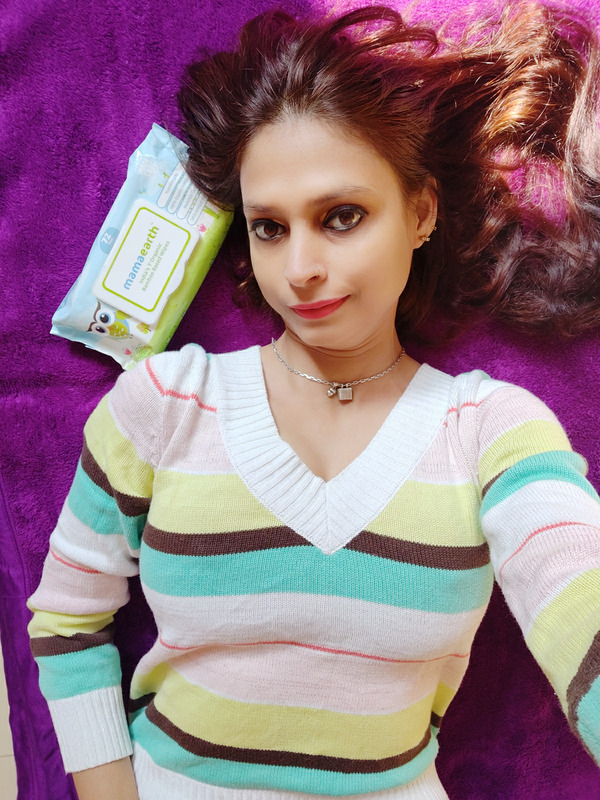 I have been using Mamaearth's 100% Organic Bamboo baby wipes since long. As the name suggests, it is earth friendly and biodegradable. And so disposing it off isn't a problem either. It is enriched with shea butter, lavender oil, aloevera extract, almond oil and many other things. The bamboo fibre is more breathable than cotton fibre and very good for sensitive skin. This is Asia's first madesafe, toxin free brand. I feel its high time we are start using products that are earth friendly and are causing no damage to our beloved planet after they have been used. I bought it online from nykaa.com. The pack of 72 wipes was priced at 249 INR. Who said the adults cant use it too🤔?There are endless ways these wipes can be used even if there is no baby in the house. I feel every house should have a pack of wet wipes as it can be used for almost all the purpose at home. Obviuosly most of us use it during summers to wipe of the sweat and make the skin feel cool, but apart from that, there are many other ways too we can use it for. In this blog i am going to talk about 10 unique ways in which i use these wipes. I am sure after reading this blog you will wonder how you never knew about them. I dont apply nail polish that often, but at times when my inner woman awakens and i feel like pampering myself, i apply it. While applying it spreads to the skin too at times. This wipe is the best solution to fix the excess nail polish. This is what i always use under such circumstances. I am still at a beginners level as far as make up is concerned. The thing i am very good at is applying eyeliner and kajal. Applying it makes the eyes look stunning for sure, but the biggest task is when i have to take that eyeliner out. Almost all the brands make waterproof eyeliners making it a difficult task while removing. I tried many things to take it out but nothing seemed to work well. And now that it is winter season, using cold water to remove it seems hell of a task. This is where fresh wipes come in the picture as a life saver. I recently tried using baby wipe to remove it and it just disappeared instantly. During long journies we do need to use public toilet all the time. At times the washrooms or the toilet seats are very dirty making it difficult for us to sit on it. You can use this wipe to clean the toilet seat before using it. Atleast the seat will be germ free that way. And yes, dont try this on Indian camode. Just kidding. I stay in a locality where people keep rennovating the interior, exterior and constructing floors of their houses through out the year. And ever since i shifted here same is the situation. So no matter what i do, i cannot get rid of the dust as it pops up within hours. The wipes come in handy to clean it off. It also helps in removing hard marks that need a lot of rubbing. I have even tried using it to wipe off hard marks from my television and fridge door too. And it works wonders. These wipes are very useful in wiping off the dust and other marks from the sides of the shoes. The moisture in these wipes makes the shoes shine and look new and clean once again. We tend to treat the switch boards very carelessly. While switching the lights on and off we tend to touch the switches with dirty hands making it dirty and discolored. If you use these wipes to rub them hard, all the marks will disappear. It will also make it germ free. My son uses my phone and Ipad alot to watch songs on youtube. At times he uses it while eating too, which makes the screen all bad with dirty finger marks. Using the wet wipe helps in taking off all the marks from the screen and making it shiny yet again. While usung oil in the kitchen it can get spilled accidently too. If you try using a kitchen cloth, the oil wint leave that easily. Using a wet wipe will clear all the oil and make it good to use again. Even during winters we sweat sometimes. Cant switch on a fan for it to dry. Neither can u keep using deo or perfumes all the time. I use wet wipes to clean the sweat from underarms. It makes you smell good after that. Do try it. Wenever we go in a long journey by car or train, i cook food and take too. Many a times you dont water to clean hands after food. My son likes eating with hands so to wipe them clean i use wet wipes. As it is wet, it cleans the hands and sanitize them too. 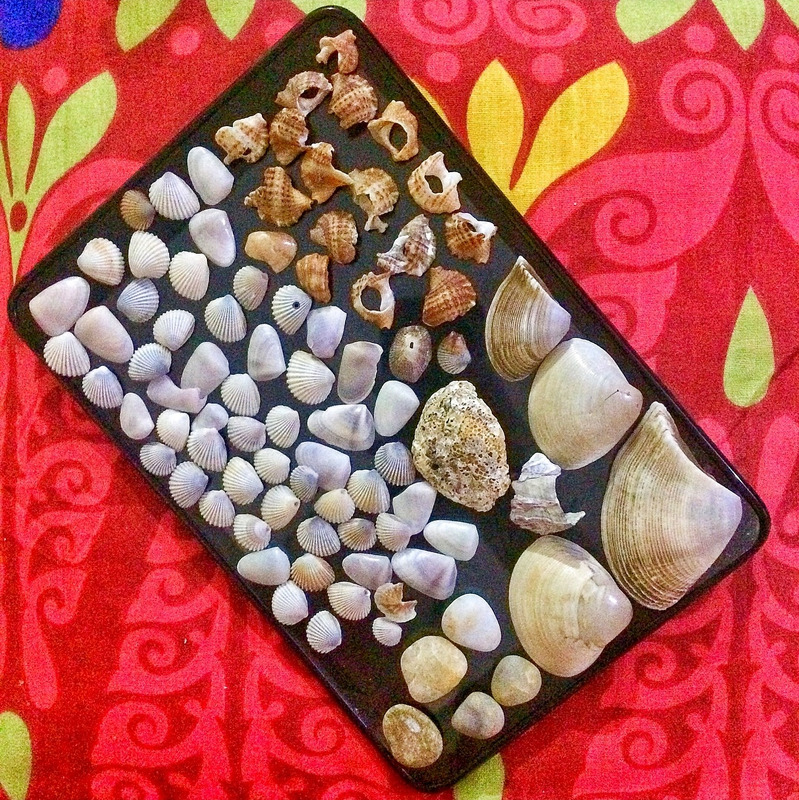 Very handy when you traveling with kids. These are a few ways i use my wipes. I do use them both on myself and other household works alot. Do try them. Hope the blog helped you find a few uniques uses of fresh wipes. That all for now. Until next time. Happy new Year In advance. PS: Contribute your bit in saving Mother Earth or else it will be too late for it.